Over the years I discovered I had a passion for technology, it was something I was easily drawn to & when I was still in High School my Dad bought my first ever computer a Commodore C64; seriously! The ancient floppy disc era! And yes, I still have it! I hooked everything up just recently to see if it still goes; ta da, it WORKED! YEY! I was then admiring the Amiga 500 sitting in our spare room, but had to shunt that to the side as we were sanding our lounge floor down & running out of space to sit comfortably. Itching to see if this one goes now too! 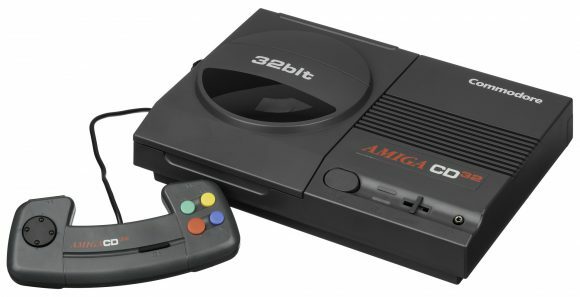 Another dormant one is the Amiga CD 32, ah those were the good ol’ days playing on those vintage games that the kids snob because the graphics ARE NOT cool! Mostly self-taught, I’d quickly tackle my job & then would hurry up & “play” on the computer. I realised you could setup shortcuts on your desktop, instead of taking the scenic tour to open up your files, so I happily went ahead with that. We then had access to this software called DAPS ( Data Acquisition Processing System ) & after discovering that it would be easier to enter results straight into a computer than handwriting both the specifications & then add the data collected on paper. It took a little convincing, but my boss was nice enough & left me to it. That was a feat & a half! I’d be enjoying it so much, I’d work through my smoko breaks! But in the end, I had created FPA (Finished Product Assessment) files listing every product & it’s variant within our company. Once that was completed, I then had to enter the specifications in before being able to populate it. It took me months to complete, but boy, I was sooo proud of myself! Especially someone who’d taught herself that there’s a better way to simplify life! This software was so cool, once the file was created, you entered in the product details that you were testing & typed the results straight into the system. If it was out-of-spec ( out of specification or outside its limits ) the affected cell would change colour based on if it was higher than the limit or lower. This immediately gave you warning bells that something was wrong & the follow-up procedure would take over. My interest is software grew as I enjoyed mucking around in Power Point doing up presentations that were easy on the eye while also having my quirkiness added into the mix. I loved animating images to pop-up on the screen in time to the music playing in the background. But only those who’d utilised this software extensively knew just how long it would take to create some decent looking Power Point Shows. I loved them! Dabbled in all the Microsoft Office products & had fun creating a database & also playing with Publisher … I soon realised I liked quick references to things ( using images to capture what step needed to be taken before getting to the next step )! It was awesome, I just loved prettying things up & I also loved working smarter & NOT harder! As time past, I knew I was destined for greatness, I was too clever to go on any in-house training & yet not clever enough to climb higher up the corporate ladder or generate a living off of what I knew. then once that came about, I was enjoying it so much, I opted to do a Diploma in Hardware & Operating Systems ( another one that only took 1 year off my life, hehehe ). 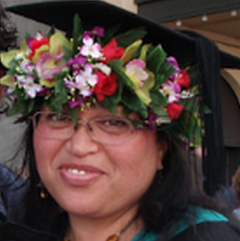 Once that was over, I only needed to do 1 last year & I’d have a Degree in Computing Systems. But with that done & dusted, I needed work experience BUT on top of that I needed to PAY BILLS! Took a job that did just that but wasn’t anything close to doing what I loved & after a couple of years I decided I needed to refocus & go back to following my dreams. And that’s me in a nutshell! So here I am now following this path to greatness. Along the way, I’d discovered some useful information mostly to do with building websites that I found myself always searching for time & time again, so why not pop it all in ONE spot & see if anyone else is interested in it also! Do let me know if this has been helpful to you. Wishing you great success in all you do!